Home Fly Fishing Successful Guided Fly Trips Begin With? Once or twice a week I have phone conversations with several guide friends who specialize in fly fishing. We share information about our most recent trips. After discussing the type and number of fish, where they were located, tide and weather conditions, moon phase, water temperature, the number of fish brought to the boat comes up. The client is then described as part of the answer. “The guy was a pleasure to be with, he didn’t listen to a single thing I told him, he kept telling me about his other successful trips, a real jerk, I took him back early, I spent most of the day giving him casting lessons, I made every cast for him, he hooked me twice,” etc. The movie, “A River Runs Through It,” has spawned a new breed of “fly fishers,” who ply the water in search of the many rewards of the sport. Experienced clients who we have never met are also anxious to put a few notches on their fly rods with a successful saltwater trip. As guides, we are supposed to be a part of the learning process. How can we make a clients trip an experience that they will enjoy? My friends would all agree that success or failure will depend primarily on one thing, casting ability. All factors being equal, the person who can cast well will be successful. Eight hours is a long time to spend on a flats boat with someone who has poor casting skills. 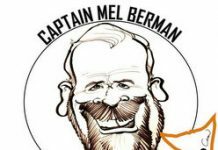 Can a person not cast well and be a successful fly fisherman? I guess that depends on how you define success. If success means catching fish, read on. I always advise doing a little research before doing any casting. I’ve spent many years fishing for freshwater trout so I gathered information from some friends who are frequent visitors, as well as from a few of the local experts. I saw a few fish caught and these are some of the requirements for success Six X, nine foot leaders with seven, or eight X, two to three foot tippets were used. Flies as small as size twenty-six, and twenty-eight were common. Some Tricos, were hatching and these were what was needed to successfully match the hatch. Many of the trout would sip these small natural morsels, refusing an imitation that was a little too large, the wrong color, had a floating leader, or exhibited a hint of unnatural drag. Many fish were caught within a few feet of the bank. As a certified casting instructor, the casting skills needed for this type of fishing blew my mind. 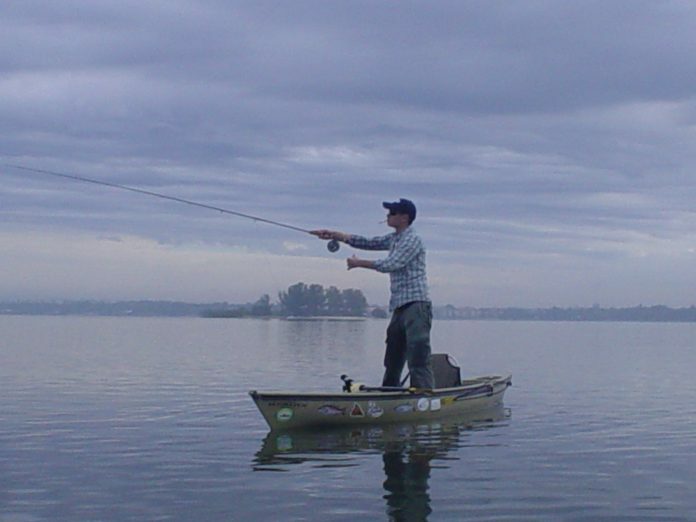 Very few fisherman had more than two or three feet of fly line extending past the tip of their eight and a half or nine foot, four or five weight fly rod. Imagine doing this every trip and catching fish. Here we have a fly fisherman who has great skill in stream entomology, stealth, presentation and remarkable fly tying skills and consistently catches fish with only a few feet of fly line past the fly rod tip, using a very long fragile leader. The technique could be called “high sticking,” or “dabbling.” Casting skill is almost nonexistent. He is however, in the eyes of his piers, a master fly fisherman. Contrast this to a June trip scheduled to catch one hundred pound plus tarpon along our beaches where a twelve weight nine foot fly rod with a weight forward line attached to a 3/0 fly will have to be cast a minimum of fifty feet, quickly and accurately, usually in the wind, to a moving fish, with a minimum of false casting. I realize I am using two extreme examples, but they both are factual and do exist. 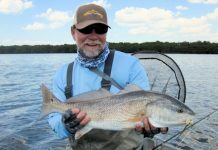 If I take one of my best saltwater clients and put him in the above freshwater situation, what will his success rate be? Not very good Which is harder? They are both difficult, and herein lies the allure of fly fishing. If you want diversity, a challenge, a never ending learning curve, you picked the right sport. The successful freshwater angler will be a disaster in the salt. And this is the situation we frequently have to deal with. Get as much information before your trip into a different fishing environment and come prepared. Do your homework and be honest about your skills and experience. Your fly rod must be thought of as an instrument. An instrument performs only as well as the person holding it, and require hours of practice. Get some help from someone who is knowledgeable, do your homework, duplicate the fishing situation before you arrive, and you will have a successful trip.